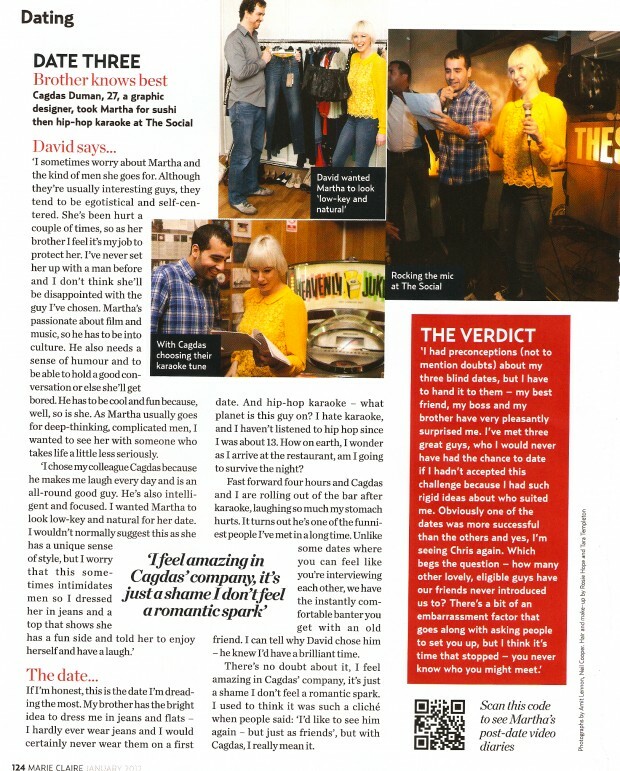 Marie Claire magazine was at Hip Hop Karaoke @ The Social just before Christmas as one of their readers was taken there for part of their dating article. Well done to Cagdas and Martha for getting on the mic and even making me do ‘the ’92 dance’ prior to their performance of Cypress Hill ‘Insane In The Brain’. Seems like the date went okay (ish) – but we know for a fact they were well suited on the HHK stage!